We started Blue Arrow Technology out of recognition of the power of software and what it can do for any business. 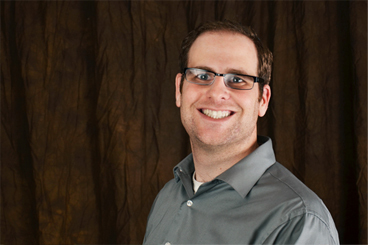 The company is led by Ben Simon, an 18 year veteran in the software field. In that time Ben has worked on unique products ranging from cutting edge web-based corporate financial services as far back as 1998, real-time equities and derivative trading systems, and a complete rewrite of a high volume laboratory information management system. We are motivated partners with our clients, striving to solve difficult workflow and thereby to make everybody’s day better. Computers and software are tools, and like any tool, having the right one for the job is key to growing and keeping your business operating at peak efficiency. Any software project begins with a thorough analysis of the existing environment and requirements. We need to understand users and their needs in order to build software that will fully solve the issues at hand. All of the major thinkers in software today agree…business moves fast. In many cases it can move faster than development cycles. So we must have flexible iterative development. We expect change instead of fighting it. Building systems to be extensible and maintainable is key. It is an exciting time in the world of software development. More languages, databases and frameworks are available than ever before. As a result, we have dealt with quite a few of them. The question of “which is better” doesn’t really apply as the answer just may be “all of the above.” We learn new things all of the time and we don’t plan to stop anytime soon.